So many women wear black, grey or brown slacks in the office, but it can become such a uniform it becomes dull and boring. Today I thought I would share some ideas on styling your black pants with a little more zest. You can create a dramatic and high contrast look with an achromatic color scheme. Black and white is achromatic versus monochromatic, which is all one color. You can create an analogous color scheme. An analogous color scheme is where the similiar colors are next to each other, such as blue, teal and green. This adds a subtle contrast in a sophisticated way. Become inspired by bold colors and create your own flair. Do not forget the leopard print belt and shoes for that extra spice. You can easily take any of these inspirations and make them more or less dressy depending on your work dress code. Inspiration from Pinterest. No, this is not a movie plot, but a good way of working out what you should wear. With every good movie there is always a hero, there is always a villain, and to make the story cohesive and understandable, some there are supporting acts. So what does this have to do with your wardrobe? Let us look at each category. A hero is a garment or accessory that has enough interest or detail to draw attention to it and make the whole outfit look more exciting. It might be an unusually constructed skirt or jacket, it could be a white shirt that has a ruffle down the front, it might even be a gorgeous pair of strappy sandals, or a big statement necklace. It makes the outfit less plain and creates a focal point for us to look at. It might also be a talking point, or become a signature of your appearance. Without these statement necklaces, your outfit might be deemed boring, but with the hero necklace, it creates action and excitement. Villains are those pieces in your wardrobe that do not fit, do not flatter, or are just plain worn out, stretched, baggy or pilled. The villains are dragging your overall appearance down. They are not flattering and they will not give you confidence or a boost in self esteem. Nobody wants real villains living in their wardrobe, let alone following them round all day, so remove them from your life and cupboards so there is no temptation to wear them. The actors make the meat of the movie possible, they are the clothes that hold together the outfit, your hero will not shine if everything you wear is a hero – too many heroes spoiled the plot. Keep your heroes to one per outfit, otherwise people will not know where to look, and you will probably appear too busy, with too much going on. They are the pieces like the little camis that stop that wrap top appearing too low so you do not kill them with your cleavage, the bootcut jean in a dark denim that works with so many tops, and the plain scoop neck t-shirt that sets off your patterned skirt. You might not get excited about them but they make your wardrobe work, and without them you would have difficulty getting dressed. When friends come to me and say they are stuck in a rut, are looking boring, or loss their style, it is because they are only wearing supporting acts and villains. They have forgotten about their hero jewelry, and have not bought anything other than a very practical shoe for some time. When you bring the hero back into your wardrobe, you can see the value in taking the thirty seconds in the morning to choose some jewelry to make your outfit pop. So, what movie would we be filming with your wardrobe? The military style jacket is synonymous with fall. Once the weather gets crisp and the leaves start falling the military style jackets appear everywhere. It is not necessarily a trendy item, it is a jacket that comes around every year. Though the style varies from year to year, the essence of the military style jacket stays in tact. For example, popular variations have larger pockets or elbow patches. As you might imagine, there are tons of ways you can wear a military style jacket. Transition your white jeans into fall by pairing them with a military style jacket. This outfit kills two birds with one stone. First, you bring your favorite white jeans into fall, because you know you can wear white after Labor Day. Second, you create one stylish and unique look. In this outfit, you want to keep your outfit color palette relatively light. Try to stay away from harsh contrasts. To keep on the military style theme, note the structured chambray shirt instead of a loose flowy top. Best way to complete the look is to add your favorite ankle boots and make sure to roll up your jeans. The perfect outfit for transitional weather is a military style jacket with a skirt and gingham shirt. This cute fall outfit is great when it is not that cold and you can wear a skirt without tights. 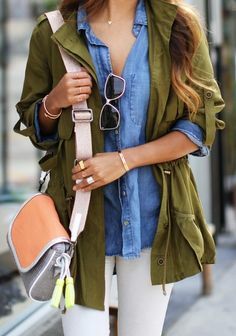 Since military jackets usually have an oversized fit, you will have plenty of room to layer or belt it. Here is a style tip, do not buy a military style jacket that is too tight, instead, find a perfect slightly oversized one so you have room to layer. 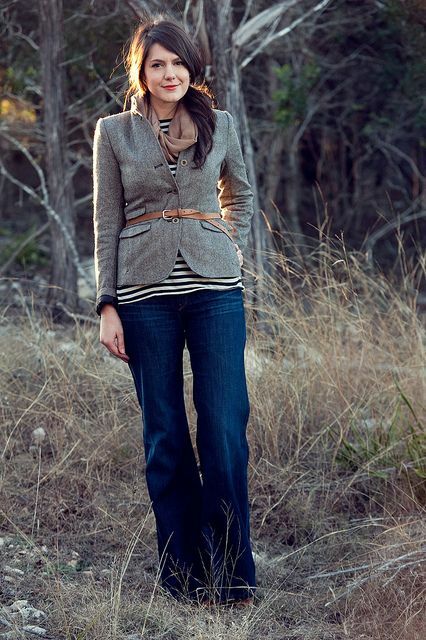 For a casual fall outfit, pair a military style jacket with denim and stripes. Most of the time you can add stripes to any outfit. Stripes are the universal pattern, somehow, no matter the outfit it almost always makes an outfit better. With four key pieces you can easily put together this simple casual outfit. All you need: a military style jacket, striped shirt, jeans, and booties. Accessorize to your preference. As the wise Carrie Bradshaw once said, “I like my money right where I can see it… hanging in my closet.” Creating the ­perfect closet and wardrobe is an art form. I like to think that the recipe for success is a handful of fun, trendy pieces and a foundation of classic wardrobe staples. It is smart to invest in timeless staples rather than the more frivolous items, because those staples will never go out of style. Plus, you can build the rest of your wardrobe around them. While everyone probably has their own version of “The Classics”…here is my list of wardrobe staples worth investing in. 1. A Little Black Dress. The LBD tops every list of wardrobe must haves for good reason…it is eternally stylish and versatile. Invest in one you really love, and I guarantee you will be rocking it for years to come. 2. A Pair of Dark Wash Jeans. Versatility and timelessness make for an ideal wardrobe staple, like jeans. 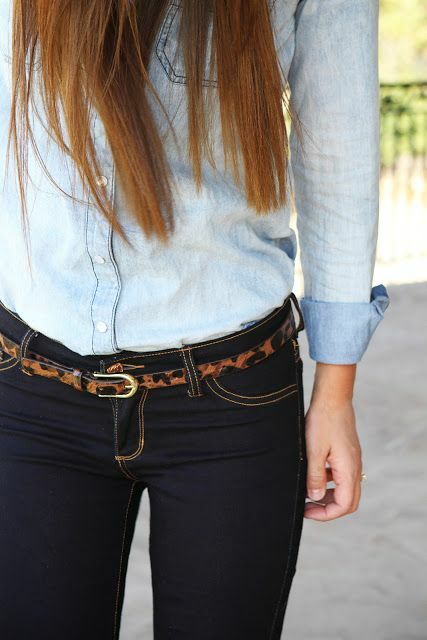 Jeans are a great staple because they can be styled in an endless variety of ways. And they are really comfortable! Choosing an investment pair will guarantee you get a really good fit and durable fabric that will last you throughout the years. 3. A Structured Jacket. A structured jacket is one of the most versatile pieces you can own. When you choose a well fitting option, it’s also one of the most flattering things you can wear. The perfect blazer can be worn to dress up your jeans, top off your pencil skirt, or even contrast a flowy maxi dress. The options are truly endless with this classic. 4. Comfortable Black Pumps. 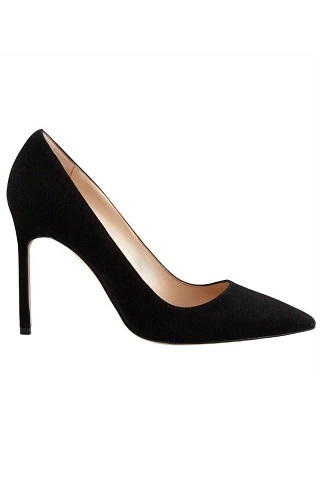 Black pumps are the little black dress of footwear. They are professional enough for work, stylish enough for a date, and perfect for just about any occasion. So while I love skyscraper heels as much as the next gal, it is not smart to spend a ton of money on shoes that are too uncomfortable to wear. 5. A White Button Down Shirt. Finally, every girl needs a nice button down shirt. Like all the other staples, it can be dressed up or down and worn in a variety of different settings. For my ladies with larger chests, be sure to choose one that does not pucker at the buttons. Most of the time when we say tweed, people automatically see the image of a university professor wearing a jacket of this very fabric with elbow patches, an assortment of books in one hand and an attaché case on the other. Others see tweed jackets as something only equestrians wear. However, this season tweed is experiencing something of a fashion moment, restyled and refined by designers. Now that fall is here, it is the perfect time to incorporate tweed fabrics into your wardrobe. If you already have a few timeless tweed pieces in your wardrobe, when it comes to how to wear tweed, it is as simple as updating them with new trend based pieces. A tweed jacket or skirt is timeless. They are great for making up a corporate wardrobe. A tweed pencil skirt is a great thing to have in your wardrobe – simply team it with a silk blouse and pumps. When styling a tweed jacket, team it with tailored trousers and ballet flats. The key with these timeless tweed pieces is to ensure that the garments are tailored and well fitted. Tweed can be very dressy, so a great way to play it down is by mixing it up with funky trend based accessories. This black tweed skirt with zipper accents provides a great background for this colorful neon blouse. Neon is not only an on trend choice, but adds a playful touch to a tweed based outfit. Tweed bags are a chic take on the trend. 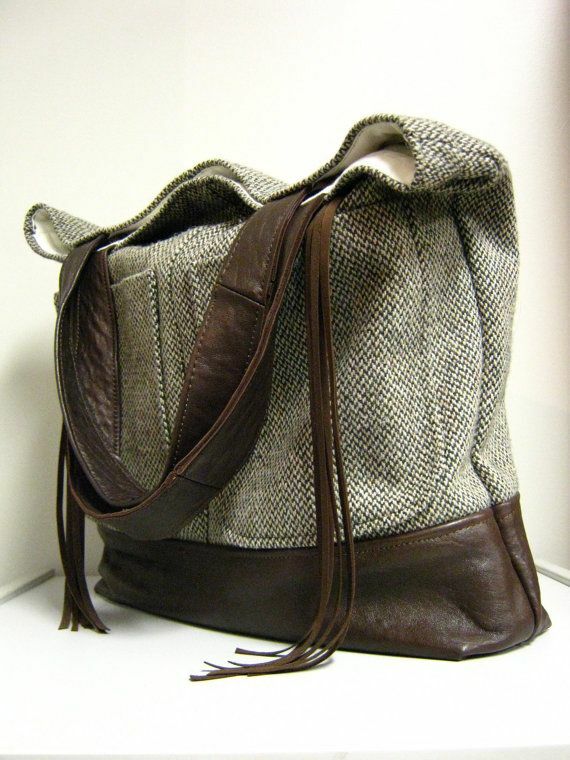 A range of designer labels have tweed versions of their top selling bags. For a ladylike look, team a tweed bag with a silk or chiffon blouse and high waisted jeans. Keep an eye out for colorful tweed pieces. They are an interesting alternative to common black and neutral tweed fabrics. 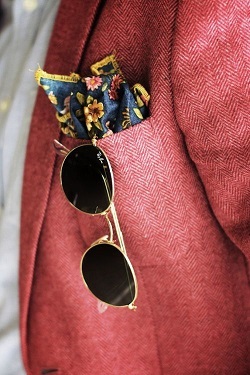 Colorful tweed fabrics are also great for wearing on a casual basis. There are a range of tips on how to wear tweed. One of the key tips for wearing tweed is to not wear too much of the fabric at once. Keep it to one piece of tweed at a time, and dress it up or down accordingly. What are your best tips on how to wear tweed this season? The next best thing to working out and eating right is finding figure flattering clothes that make you appear slimmer without any effort. I have found some foolproof styles that work every time for any body type and occasion. The first is the cardigan. Cardigans slenderize with fine textured knits and skim trouble spots, but still show your shape. You can highlight the thinnest part of your torso with a single strategically placed button, or choose a V-neck with ribbing where you want attention. Trousers with a stretchy, supportive fabric glide over jiggly areas with foolproof fit will flatter every figure. You can appear slimmer in seconds with these stealth slenderizers. High-waisted skirts are another diversionary dynamo. They seem to raise the waist, make you look leggier, and hit at the narrowest part of the rib cage to emphasize curves. Topping off your look with a fitted blazer is my favorite slimming tip. A well fitting blazer can not only magically make you look super put together, but it it can also have a slimming effect. Look for a blazer that comes in slightly at the waist and hits just below the hip. The right fit is the most important, so do not be afraid to take yours to a tailor to get it sized just right all over. Perfect with trousers, skirts, and even jeans. Wearing a lighter colored blouse or T-shirt underneath can also make you waist look smaller — it’s magic! Apparently I am on a blazer kick, so bare with me. Blazers are the ultimate work wear piece for fall and winter. However, like any staple they can start to feel a little drab over time. Here are three ways to jazz up the blazers you already have in your closet. 1. Add a brooch ~ Embellish your blazer with a brooch as an alternative to wearing jewelry. 2. Add a belt ~ Belts are the ultimate accessory this fall, so do not be shy about belting your blazers to give them a new shape and style. 3. Add a scarf ~ Play with different colored scarves to liven up your blazer and change your entire look.